We have now gone well beyond Moses’ arguments with God. God’s power is not automatic or unbridled; it is, rather, an expression of God’s will. God can choose how and when to use that power. 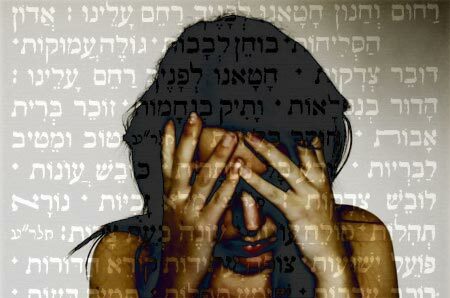 Teshuvah is God’s gift to us, a singular opportunity to sway God from anger to compassion. This distinctively Jewish idea also teaches that, ultimately, it is human beings who have the power to determine how God will use that divine power. We invoke this theme throughout the liturgy of the High Holidays. I often write about what Messianic Jews have to say to Christians, hopefully in a very positive light, but Rabbi Gillman’s book is what other Jews, those who don’t believe Jesus is the Messiah, have to say to Christians. 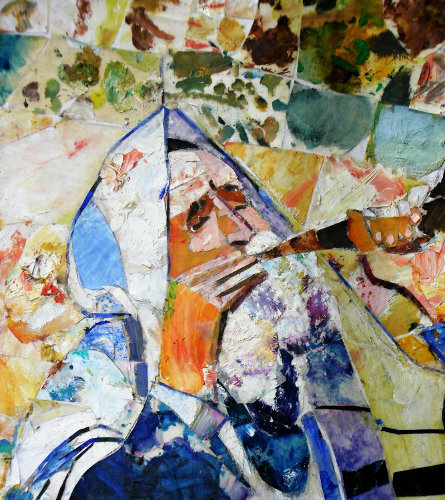 By providing the Jewish viewpoint on God, Rabbi Gillman is attempting to be a “light to the nations,” showing us who he believes God actually is (as opposed to who Christians think God is). We don’t often think we can change God’s mind but I think Rabbi Gillman may have a point. Gillman calls Jonah the only successful prophet in the Bible. Typically, all other prophets call for repentance (usually of Israel) and they only receive a deaf ear in return. Often these prophets are killed by the very people they’re trying to save. The prophet warns Israel. Israel ignores the prophet and does not repent. God fulfills the prophesy by doing terrible things to Israel, which usually include war, exile, and death. …and My people who are called by My name humble themselves and pray and seek My face and turn from their wicked ways, then I will hear from heaven, will forgive their sin and will heal their land. If the people who are called by God’s Name would humble themselves and pray and seek God’s face and turn from their wickedness, then He would hear from Heaven and forgive their sin and heal their Land. Seems pretty straightforward to me. But then, God set up the conditions. If you do this, then I will do that. If you do not do this, then I will do something else. God is prepared to respond to Israel depending on what choice Israel makes. It’s not as if God changes His mind as such. So the Lord said, “I have pardoned them according to your word; but indeed, as I live, all the earth will be filled with the glory of the Lord. On the surface, it certainly seems as if God was ready to wipe out the Children of Israel, but Moses, appealing to God’s reputation, gets Him to change His mind. Or was God setting up the situation so that Moses would change his mind? Remember, it’s far easier for a human being to lose his cool than for God to do so. By deliberately putting Moses in between the Children of Israel and God’s wrath, God is forcing Moses to make a choice. Either Moses can side with God and advocate for the destruction of his people, or he can confront God as Israel’s protector…the very role for which God chose Moses. Ultimately, if God is Sovereign and if His will and His decisions are always perfect, then He really has no need to change His mind. We, on the other hand, have to change our minds all the time, and I think God is at work trying to get us to do this. We are flawed, sinful, imperfect, self-centered creatures and God loves us anyway. It’s like being the Father to billions and billions of two-year olds. We’re all screaming “mine,” all fighting each other over our toys, all hording the goodies for ourselves, and we all don’t want to listen to God telling us to be good and to share. 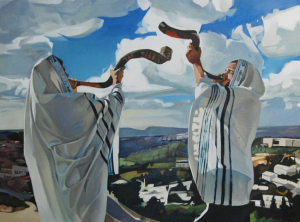 Yom Kippur starts at sundown on this coming Friday and ends at sundown on Saturday. Although the Day of Atonement has very little meaning to most Christians, we can still allow it to remind us that there may be some people we have hurt and we have neglected to repent of that. We may have sinned against God and have neglected to repent of that. As long as we are alive, we have the opportunity to repent, to turn back to the ways of God, and to make amends with anyone we have injured. But who knows when one will die? Even during the days of Mashiach, it will still be permissible for people to repent…but why wait? God is reminding us to make teshuvah now.